Outdoor activities and outrageously bad odors tend to go hand in hand. From stinky socks to burst food containers and dirty cooking implements, the potential for stinking up our backpacks is very high, and “odor-rich” is about the politest euphemism that could be applied to most packs given just a few overnight trips in the backcountry. These odors are all very well if all we have to worry about is offending our camping companions or unsuspecting partners intent on doing a good deed by throwing them in the laundry, but when we’re out in bear country (or wolf, coyote, or cougar country, for that matter) the potential consequence of those unseemly scents (and even the less unseemly ones) takes on a whole new dimension — one, we regret to add, that could be downright deadly. So, just how do we get around this conundrum when the contents of our packs refuse to grant our wish that they rein in the rancidness? And how do we stop our peanut butter and jello sandwiches sending out aerial dinner invitations to every hungry beast within a five-mile radius? “The what?”, you might ask. And with good reason. In this article, we will answer the above question by taking you through all the ins and outs of smell-proof backpacks, from the key components of their construction and must-have features right through to a review of our top picks for 2018. What is a Smell-Proof Backpack? How long is my average camping trip? Although the name itself leaves little to the imagination, the science and design features that go into the construction of a smell-proof backpack are not quite so obvious. Most smell-proof packs look like standard hiking or EDC backpacks, but use a carbon filter lining and enhanced zipper and closure system that significantly limit the amount of odor that escapes from the backpack’s contents. 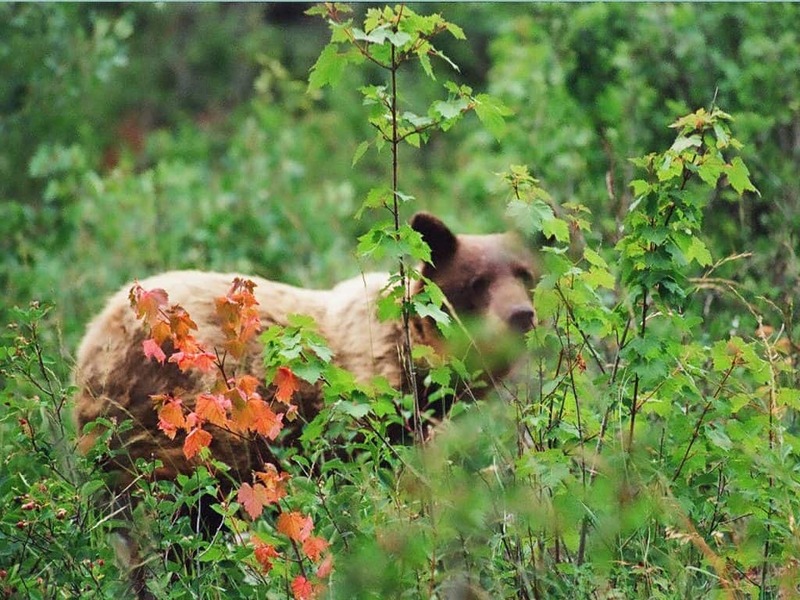 This scent-smothering capacity is intended to deter animals like bears, wolves, coyotes, pine martens, and cougars, all of which enjoy a far more advanced sense of smell than humans and can be drawn to the contents of your pack — food, laundry, and other scented items alike — from up to 20 (!) miles away. Scary! Are you going to get a good night’s sleep knowing you haven’t taken every precaution possible? Just as buying a helmet for cycling or rock-climbing doesn’t mean you’re sure to return home from your ride or climb in once piece, carrying your food and foul-smelling gear in a smell-proof backpack is no guarantee of safety. Even when using a smell-proof pack, a variety of other measures are required to reduce the risks of attracting peckish members of the animal kingdom and having a smell-proof pack in itself shouldn’t be seen a licence to take a more lax approach with regard to other elements of safety. 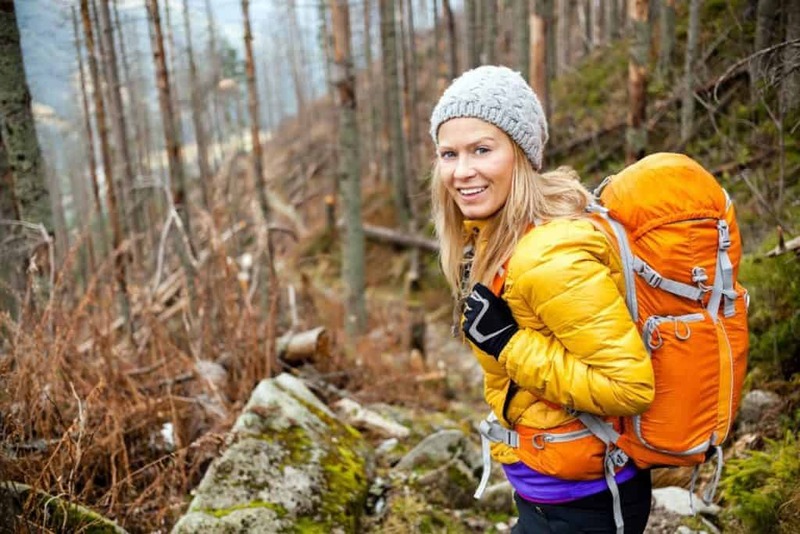 As with standard backpacks, smell-proof models come in a variety of shapes, sizes, and formats, all with varying specs, levels of effectiveness, and aspects that will either appeal to or put off prospective buyers. Below, we’ve chosen the most important factors to consider before hitting the checkout. Do I really want to pay up to $200 for something that I might only need or use a few times a year? Do I want to scrimp on something that could potentially be a lifesaver? Are all of the added (and cost-increasing) frills such as waterproofing, stylish design, and added interior compartments necessary, or do I just need a simple smell-proof pack that will do the bare essentials (no pun intended!)? * the above estimations do not take into account the extra gear required for activities such as hunting or kayaking, or for travelling with kids. 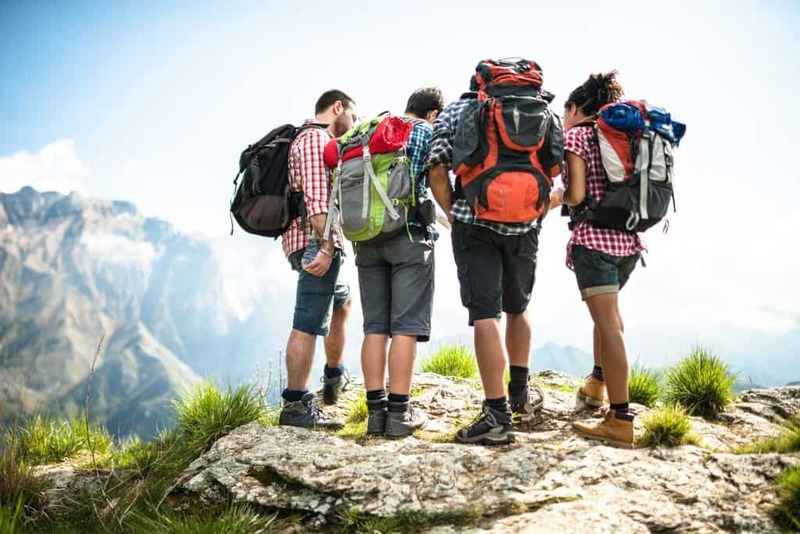 Given that most smell-proof backpacks are under 40 liters in capacity, the best solution when camping with friends is to split the gear between packs/carriers, with one member of your party carrying more “scent-rich” items like food and dirty laundry (we recommend separating the two inside the pack!) and another carrying all other clothing and camping items. Use compression bags to minimize the bulk of your load and help keep things organized. If you can color-code the bags (and remember which is which), all the better! In order to be effective, a smell-proof backpack has to truly live up to its name. As with other boasts or claims made by manufacturers for their products — waterproof, breathable, quick-drying, etc. — the adjectives are usually employed rather loosely and each item will offer varying levels or degrees of effectiveness in their claimed proficiency. With regard to smell-proofing, the most important factors determining a pack’s efficiency in keeping in our gear’s assortment of odors are its materials, construction, and closures. 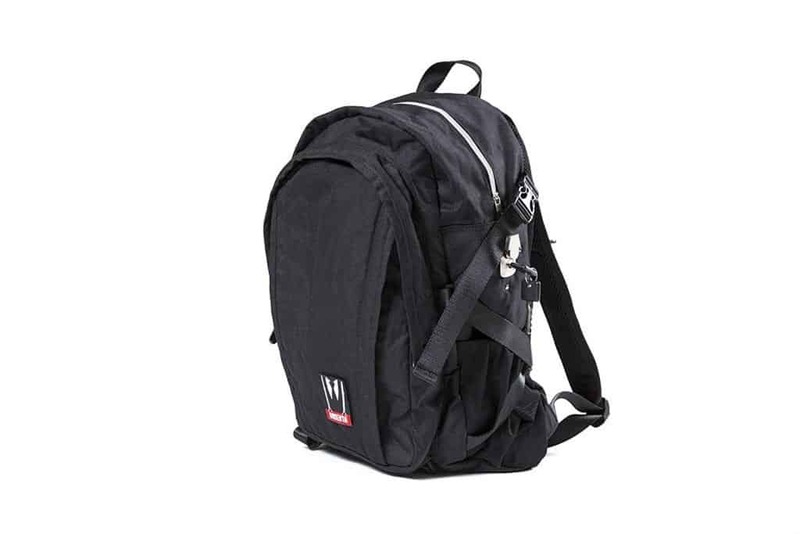 The most effective material in terms of smell-proofing a backpack is an activated carbon lining. These work by trapping scented molecules inside the pore structure of the carbon. An effective pack’s lining should be complemented and reinforced by a at least one — but preferably two — additional layers. The inner of these two layers should ideally be made of some form of cotton, nylon, or polyester mesh (or a blend of all three) that is tough enough to withstand the pressure or odd scrape from your pack’s contents. The external layer should, ideally, be made of resilient nylon (300 Denier and upwards) in order to protect the inner layers. The construction and closures of your pack can provide and additional barrier that prevents the leakage of any scent not captured in the carbon lining. Different packs feature different forms of closure, but dual (or “double”) zippers, layered zippers, air-tight roll-up closures, and double-velcro closures are all particularly effective. Not many other items can ruin your time on the trails like an uncomfortable backpack. Whether it’s chafing at the hip or shoulders, gear items inside the pack poking you in the kidneys and spine, or a sticky, sweaty back panel that’s lacking in ventilation, hauling your gear for hours on end can become sheer torture if even just one aspect of a pack’s usual comfort-enhancing components isn’t up to scratch. One of the greatest contributors to a pack’s practicality is the type of storage it features. 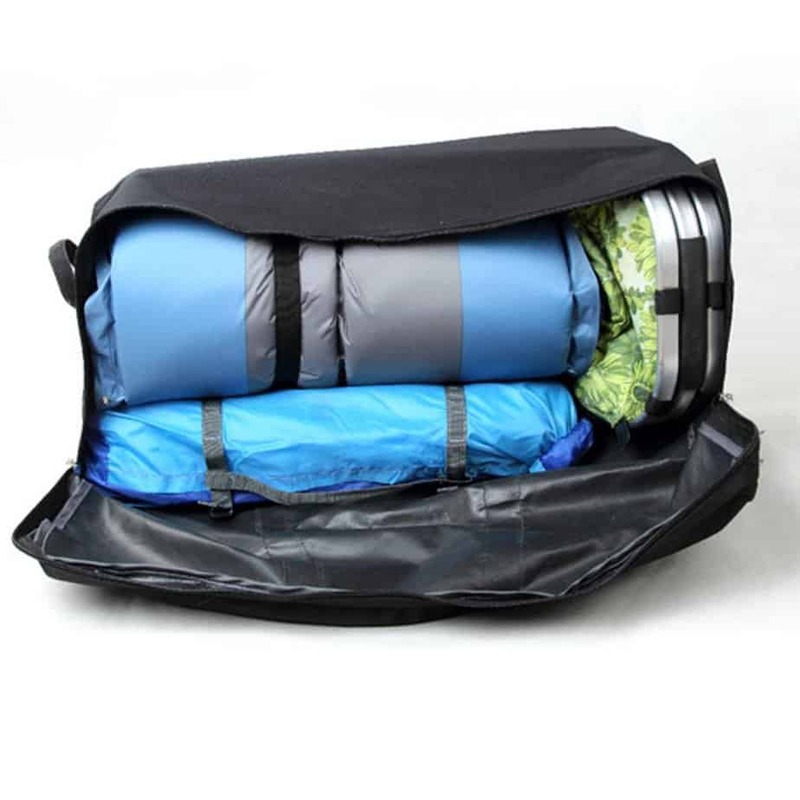 While some packs use large central compartments which are great for bulkier gear items like tents, this often leaves very little in the way of additional compartments in which you can store different elements of you kit which you want to keep separate, such as wet gear, breakable items, and food. Compartmentalized systems are also great for those who like to keep their kit well organized and to be able to locate things in a hurry and/or without removing the rest of the contents of their pack. In terms of organizational efficiency, whether you need a pack that divides its overall capacity into a number of smaller pockets and compartments or with a single, larger central compartment will depend on the dimensions of your other camping or backpacking gear. While most smell-proof packs don’t feature quite the same waterproofing capacities as regular hiking packs, many include a waterproof lining or external layer with a DWR (Durable Water Repellent) finish that is more than adequate for fending off light showers. 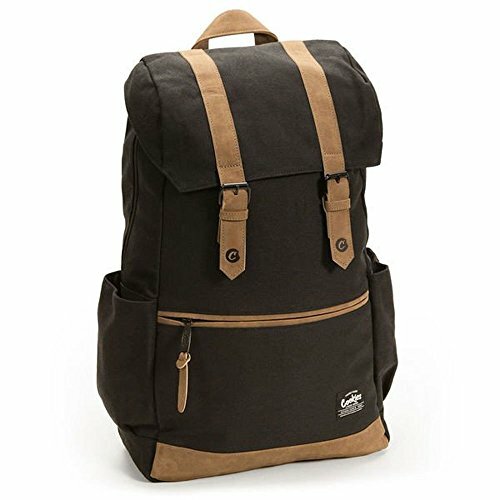 It’s worth noting, however, that most smell-proof backpacks with solid waterproofing normally cost a lot more than those without. For those working with a tighter budget, one way around this is to get your hands on a simple backpack rain cover, which will do the same job as a waterproof lining but at a fraction of the cost. Now we know what we’re looking for, it’s time to turn our attentions to our selection of the best smell-free backpacks currently on the market. The catch? With only 13 liters of storage in a single central well, this isn’t the ideal choice for those looking to carry larger items or stay out (and safe) on the trails for multiple days. In a few words: a small but very effective bag that’s ideal for gram-counters or single-night trips. With a maximum potency premium carbon lining and a double-velcro, stuff sack-style rollover closure, the Skunk Rogue means business when it comes to securing scents within its robust and stylish outer layer. With 28 liters of storage, this is also a good choice for those spending only one or two nights in the backcountry and looking to isolate their smellies from their not-so-smellies. On the downside, this pack is a little too small for multi-day excursions, has a hefty price tag, and isn’t as comfortable as other options when carrying heavier loads. Why have one layer of protection when you can have six? For those who believe that if a job is worth doing then it’s worth doing well, the Skunk Hybrid is a pack that truly talks your language. 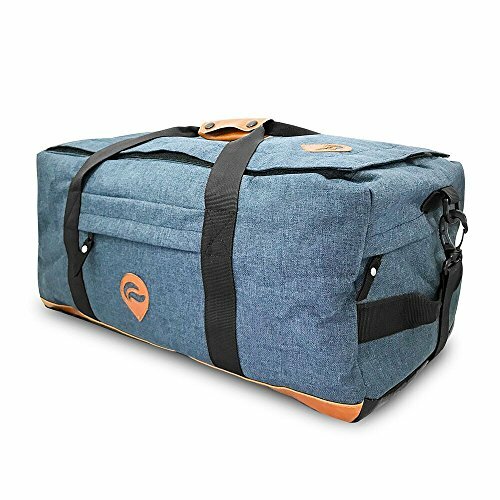 This pack foregoes some desirable details like contoured cushioning in the back panel and numerous internal compartments, but more than makes up for these failings with its very thorough approach to odor-retention and incredibly solid, reliable construction. Importantly, this is also the largest pack in our review and as such is ideal for those who envision spending more than just one or two nights out in the backcountry. 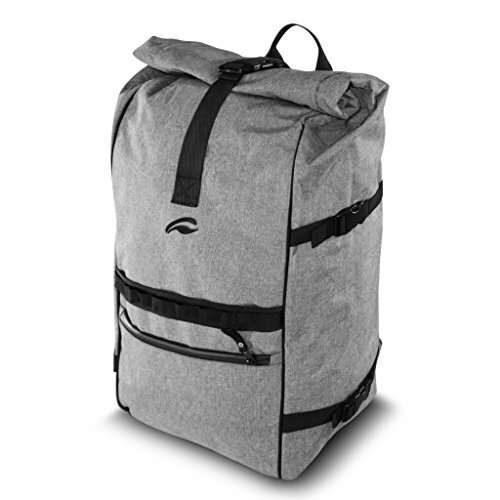 Another high-capacity pack that boasts most of the benefits of the Skunk Hybrid pack (above) but in a slightly more comfortable shape and format,the Skunk Vatra will appeal to those who want all the protection they could possibly ask for in a pack that feels like a regular hiking pack. With triple-layer protection, double-velcro closures, excellent waterproofing, and a tough, durable outer layer, this pack comprises all the design features and quality we expect of Skunk products and leaves very little room for complaint. All in all, a high-performing, very well-made pack that offers good value for money despite its hefty price tag. This very stylish little pack would win many admirers even without the added bonus of smell-proofing. 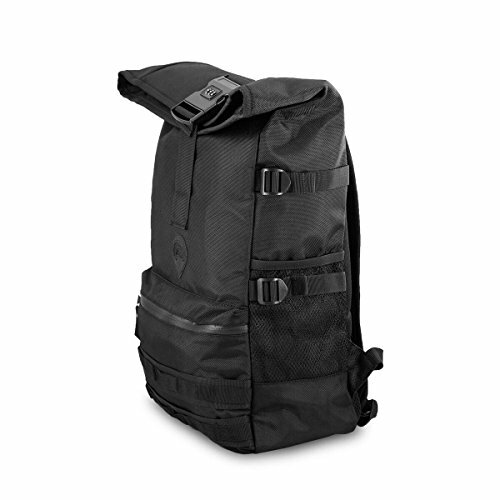 Beyond its looks, this wonderfully named pack also boasts a reasonable degree of functionality — double zippers, sturdy 600 denier nylon materials, and enough water resistance to deal with the odd light shower. On the downside, this pack’s smell-proofing is composed entirely in its double-zipped closures and, as such, it’s a far less effective container of scents than the other items in our review. In a nutshell, this is one for those more concerned with aesthetics than performance and effectiveness. Choosing a smell-proof backpack for your adventures in the backcountry is a tricky business. With so many variables to take into consideration and so many worthy options on the market, a few hours’ research can leave us no closer to getting our hands on the goods than when we started. In the above review, we’ve narrowed down the longlist of top-performing smell-proof packs to 5 of the best currently out there. Though each of these packs offers various endearing qualities and attributes, we found one to be the standout winner in terms of capacity, weight, effectiveness, comfort, and versatility: take a bow, the Skunk Vatra Rollup. The Vatra isn’t cheap, granted, but is far more effective than other smell-proof packs in its price range, boasts enough storage to be used for single overnighters or multi-day trips, and all in all oozes the kind of quality you can really rely on to keep the critters out and the odors in.